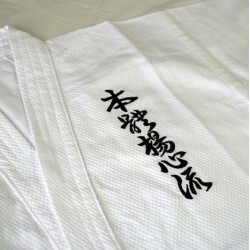 kanmuri (Crown ) Series is for those who participate in games, tournqments and championships. 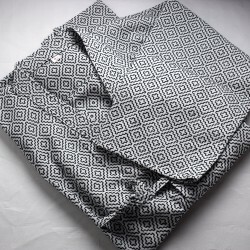 Traditional elegance with today's needs; lightweight and easy-use. 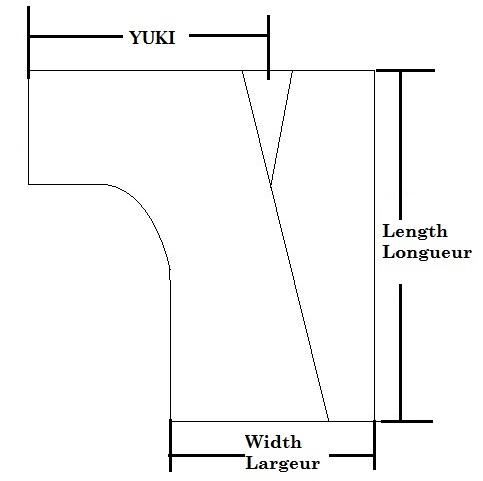 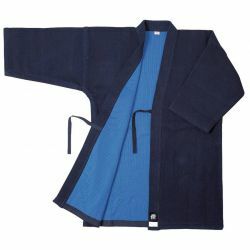 The sleeves are a little bit narrow to avoid entering Kensen (the edge of shinai). 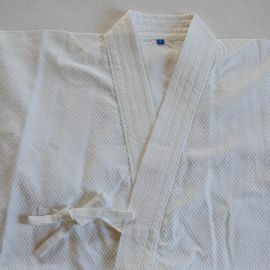 Do not need to wash before use. 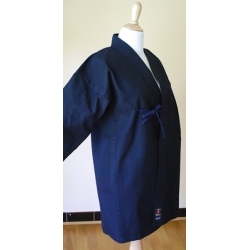 This Dogi is for games, tournaments and championships. 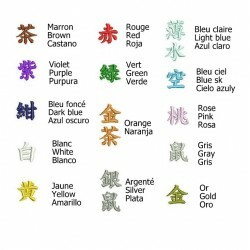 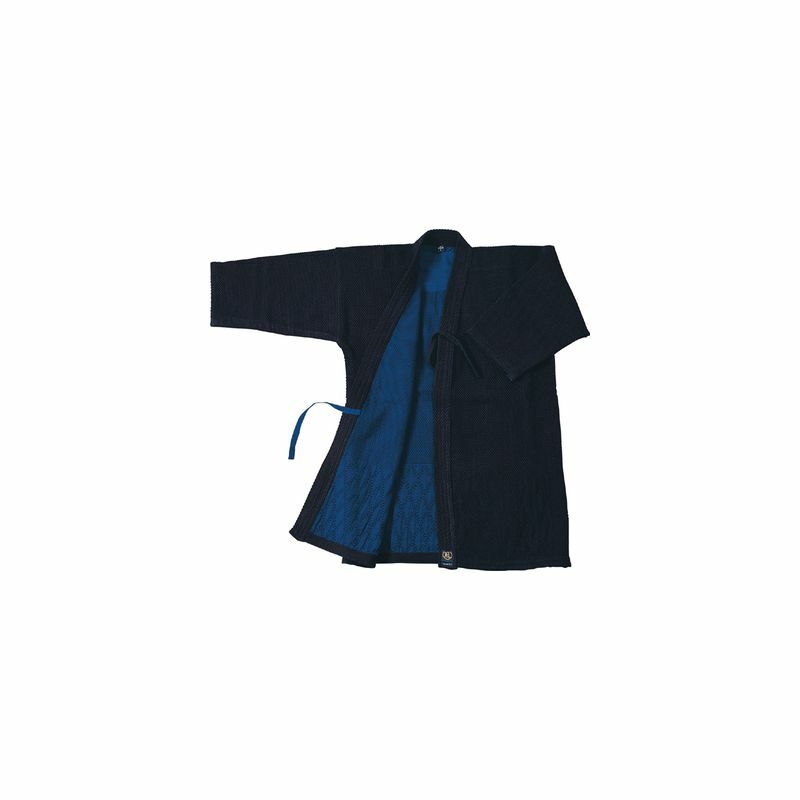 Traditionally dyed with a good quality cotton. 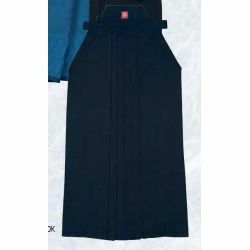 This dogi is double layer which is traditionally very elegant but about 20% lighter than standard Double layer dogi. 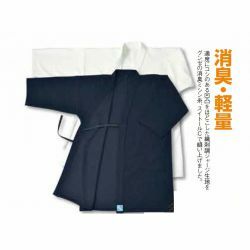 It has a "setsugi" (sewn by 2 peaces at the back), it is relaxed fit around your shoulders that provides free motion when you strike. 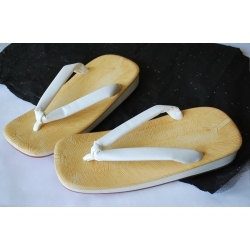 Once you use it you can see its high parformance, its beauty of cutting and its exquisite softness. 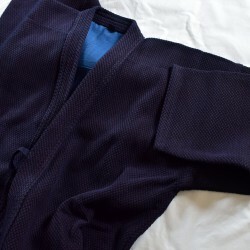 Because the sleeves are a little bit narrow to avoid entering Kensen (the edge of shinai), you do not have a risk to miss your Ippon ! 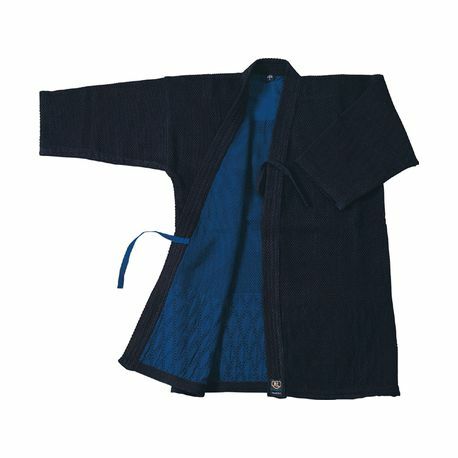 The natural dye Indigo called Bushu dyed which is the traditional dye with very high quality in Japan. 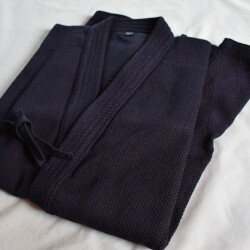 -The Naturally Indigo dye BUSHU. 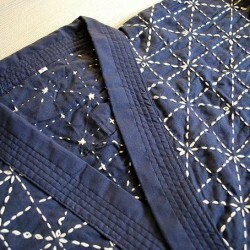 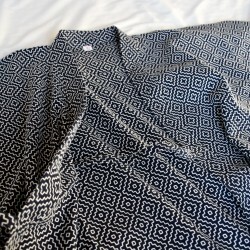 -The Weaving fabric "Sashiko" (square embroidery) with indigo thread is woven twice. 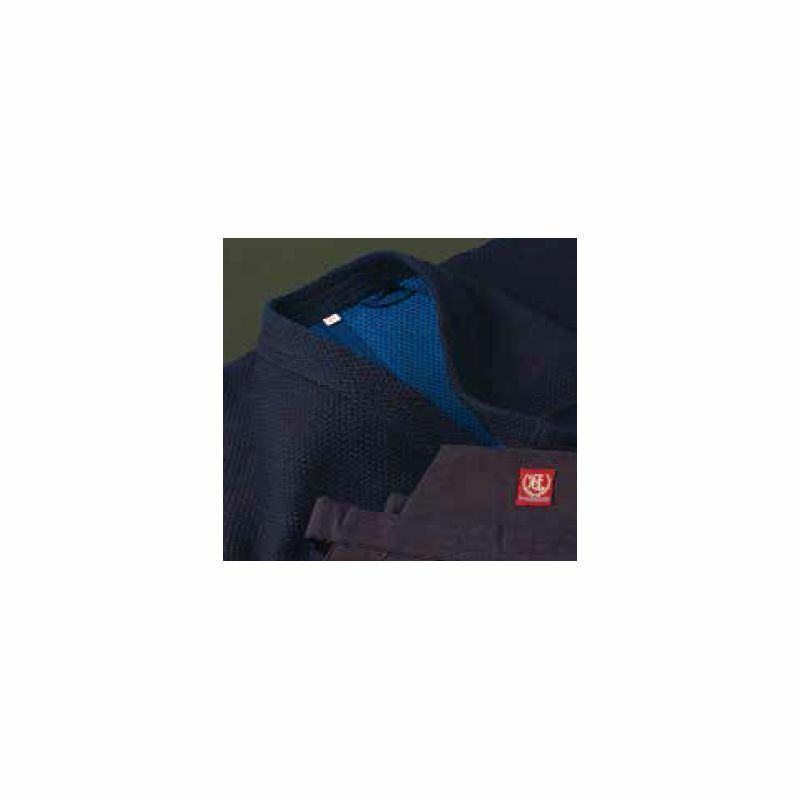 -It Is very soft, robust, non-shrink. 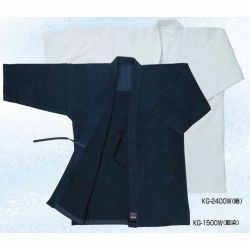 -It is 20% lighter than a classic double layer kendogi. 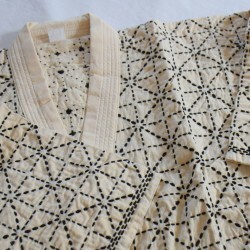 -The Jacket consists of 2pièces tissues giving more and robustness required.